Bit of a quiet month on the orders front compared to January, but that’s to be expected with the way I structure my budget. I was swayed into ordering MegaHouse’s 1/8 Kasugano Sora figure after seeing the overwhelmingly positive reviews at HappySoda and foo-bar-baz. I already had my eye on the Sora figure and seeing two figure blogs I greatly respect give their approval helped convince me to go ahead and pick her up. 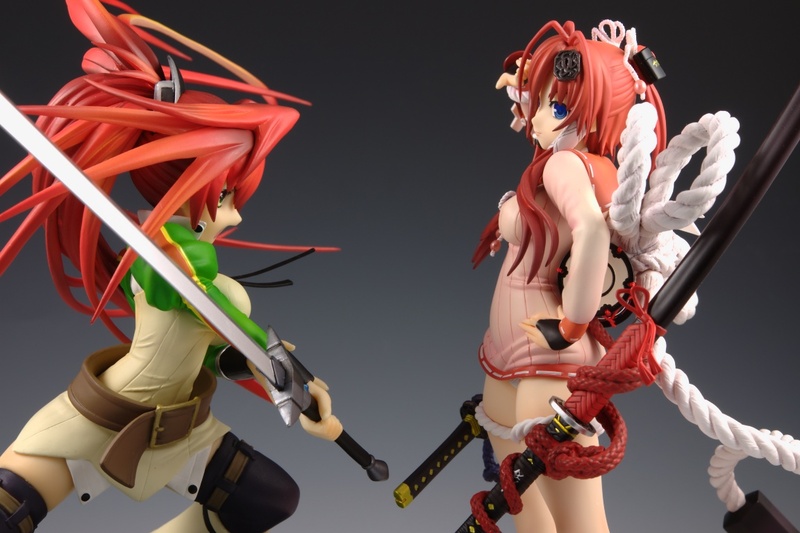 February also saw the first two figure reviews on Figyura with Alter’s Jubei and Resinya’s Galett. I’m still learning the ins and outs of macro photography, but I’m fairly pleased with my results thus far. I expect that 1-2 reviews per month will be a typical pace for me with other content filling the gaps.